The architectural jewel of Constantinople is the church of Hagia Sophia (Holy Wisdom), constructed 532–537 CE. Although the edifice built by Justinian remains almost intact, only some of its original mosaics survive. In the first comprehensive study, Natalia Teteriatnikov describes the original mosaic program of the church and its restorations after the earthquake of 558. 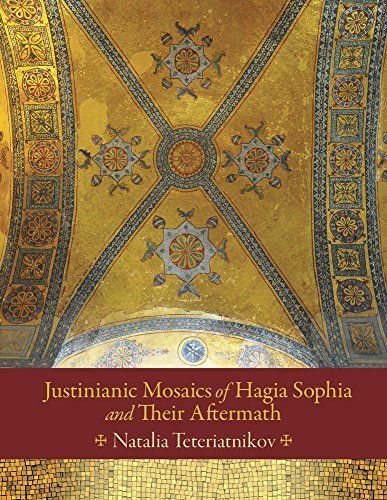 Drawing from decades of her personal research and scholarship on St. Sophia, the author analyzes the material and decorative components of the Justinianic mosaics that survive. She considers the architectural and theological aesthetics, as well as the social conditions that led to the production of a distinctive, aniconic mosaic program. Lavishly illustrated, the book includes a catalog of the nineteenth-century watercolors created by Gaspare Fossati―the only surviving evidence for reconstructing mosaics that are no longer extant.